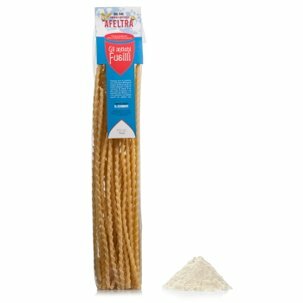 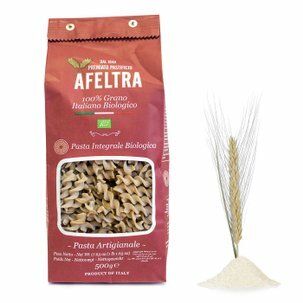 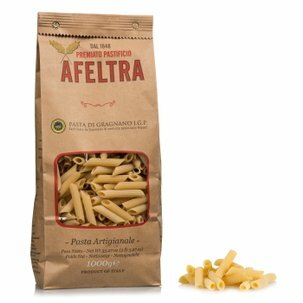 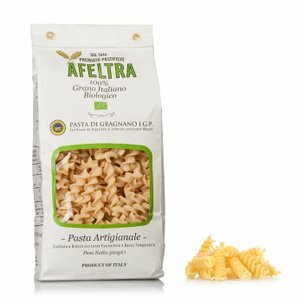 This is not just any pasta: the Paccheri from Afeltra are produced with only 100% Italian wheat, extruded with bronze dies and slowly dried. 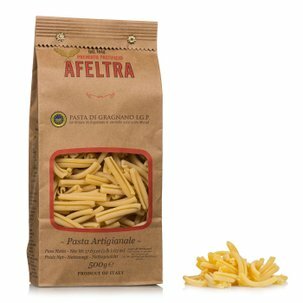 Pacchero pasta was created in Gragnano and is its historical ancient shape. 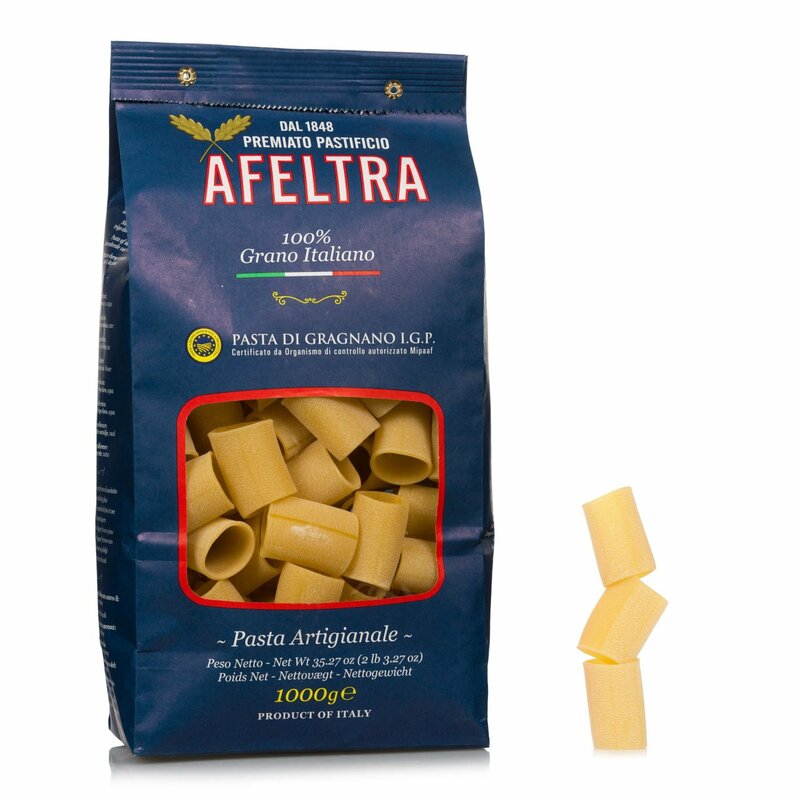 It was once famous as the pasta of the poor, as only a few large paccheri were needed to fill up a plate. 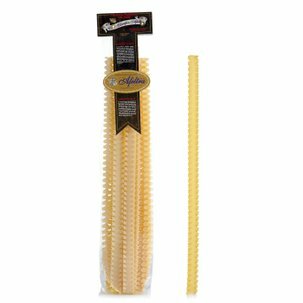 The artisan preparation, the bronze die extrusion and the slow drying guarantee the correct degree of coarseness for this pasta, so it can perfectly hold your favourite sauce. Try them with a traditional bolognese sauce or baked in the oven filled with ricotta and spinach.